Mike Korman, the manager for the town’s Economic Development department, provided Council with an update on the Proudly Cochrane campaign at their meeting Monday night, a project that won them the 2015 Award of Excellence at the Economic Development of Alberta Convention. Starting last September, the Shopping Cochrane initiative was launched with a focus on keeping more in town with local businesses rather than Calgary by delivering postcards to households detailing the shopping opportunities available in Cochrane and putting 1,100 reusable Proudly Cochrane shopping bags into circulation, which may be used in future initiatives at some point. 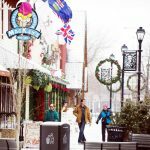 Administration also put out the word that they were looking for people to share their own experiences shopping in Cochrane and received about a dozen stories about why individuals choose to shop locally, which were then shared through social media. 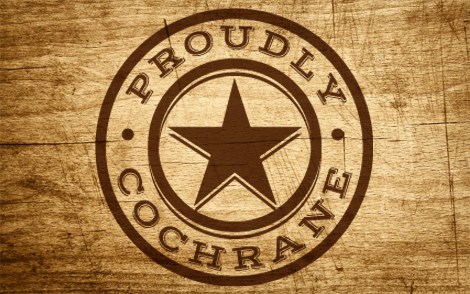 Going forward, the Town is working on collecting new stories and business profiles that emphasize the uniqueness of Cochrane’s businesses which will then be put into a pamphlet that will be available around town and showcase the things made here in Cochrane. They add these profiles to the town website and www.makeithere.ca, a site created to draw in new business and encourage innovators to set up shop in Cochrane and that has drawn approximately 600 hits a month. Another project in the works to keep people from constantly going out of town in the belief Cochrane has nothing to offer is an event pamphlet that will list all the things people can do in town between April and December, from the Extreme Cowboy Show to Footstock to Cochrane Vision Theatre shows.